Prime Minister Alexis Tsipras of Greece called for a confidence vote after a coalition partner on the right quit over a proposed pact on Macedonia’s name. What happened: Days ago, Macedonian lawmakers agreed to officially change their country’s name to the Republic of North Macedonia, in order to end a long-running dispute with Greece and open the door for the small Balkan nation’s membership in NATO and the E.U. But the deal infuriated the Greek defense minister, prompting him to resign. 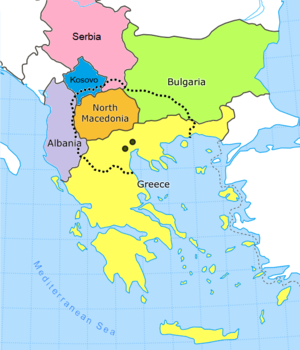 History: Greece has long effectively blocked Macedonia from NATO, insisting that Macedonians were a Hellenistic people and therefore the name could not be claimed by the Slavic people living in the country today. Many Greeks believe that the new name implies claims to Greek territory, because Greece has a northern region named Macedonia. What’s next? The confidence vote is expected to be held this week, after two days of debate from Tuesday morning. The deal on the name could go before the Greek Parliament for approval as soon as this month.